The Oral-B toothbrush that is as gentle as it is effective. 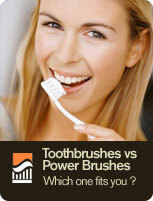 Here is a new brush that dentists can recommend that is tough on plaque and easy on the gums. Whether they are experiencing post operative discomfort or heightened tissue sensitivity due to whitening, there are more and more patients out there who could use a “gentle” toothbrush. And now you can recommend a brush that is effective and comfortable. New Oral-B Sensitive Advantage. It's been designed to deliver on Oral-B clean while providing a gentle brushing experience. ComfortClean bristles are extra soft end-rounded to deliver a comfortable, yet effective clean.